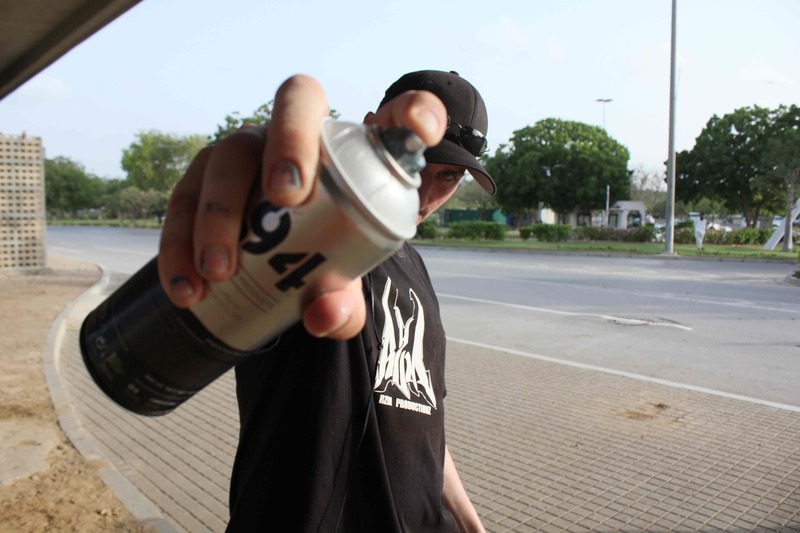 Graffiti artist Sebastian Schmidt is one of the first visiting artists in Pakistan to introduce professional graffiti art to the local art scene. 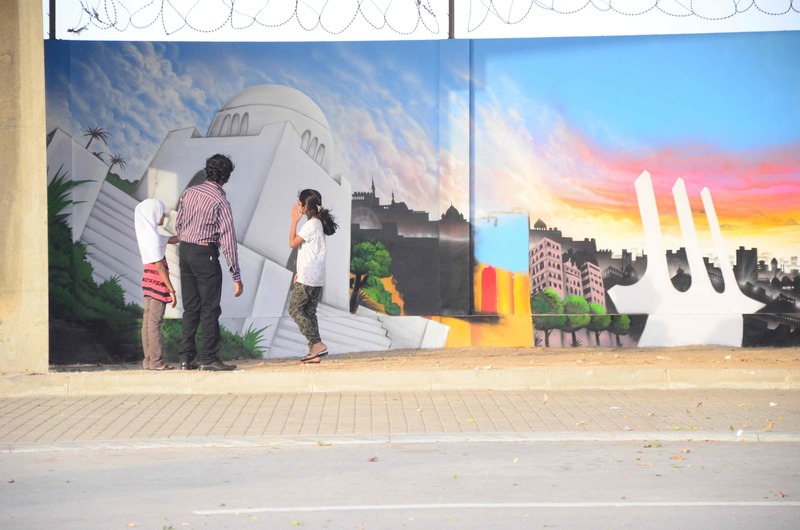 Hosted by the Goethe-Institut, Pakistan & Vasl Artists’ Collective, Schmidt executed a 160 square meter mural at the Jinnah International Airport assisted by PhoolJee and his team of truck- artists, during his three week long residency. 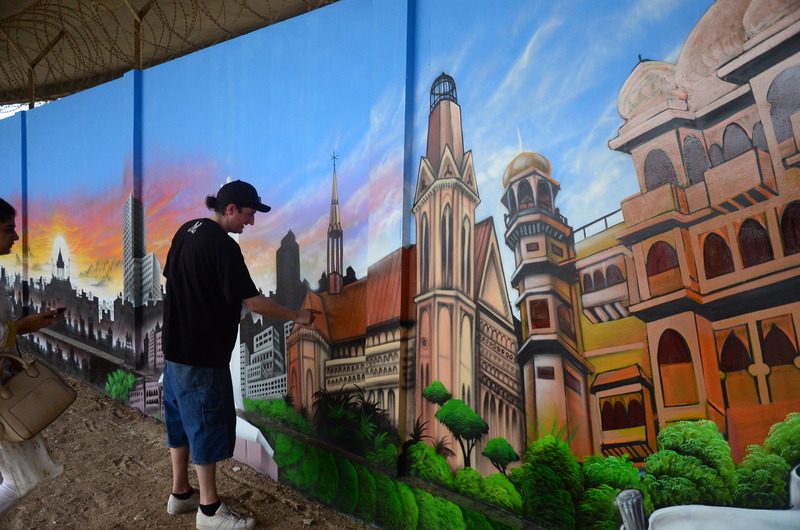 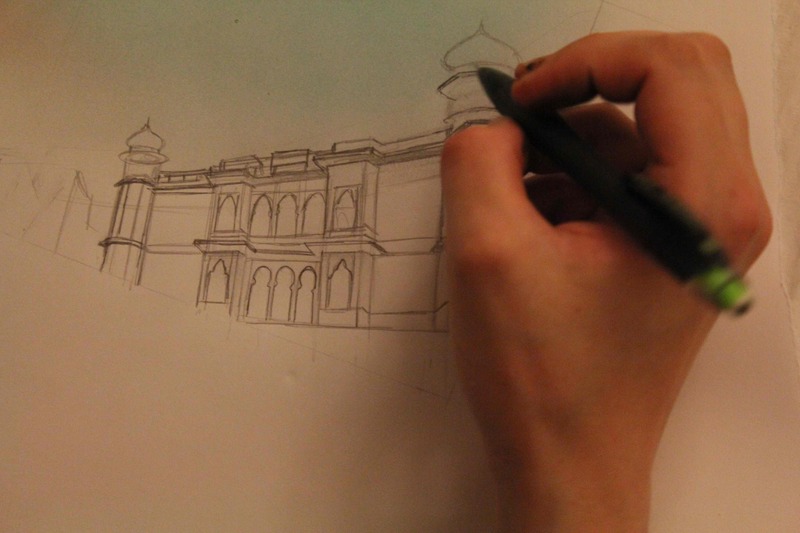 Schimdt created a unique composition of iconic structures in Karachi, both old and new. 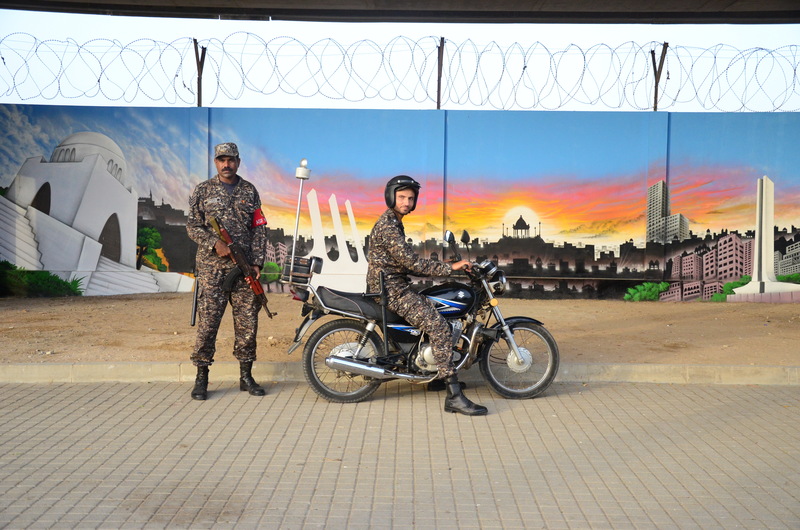 Utilizing his detailed spray painting technique and combining it with traditional oil and enamel painting from the truck-artists, Schmidt’s mural titled ‘Welcome to Karachi’ was a visual testament to the merging of styles. 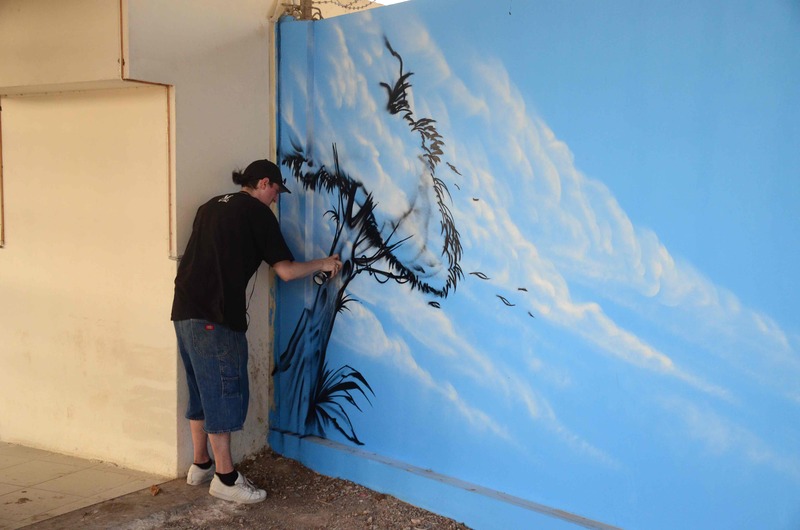 This collaboration resulted in an interesting exchange of culture and techniques despite language barriers. 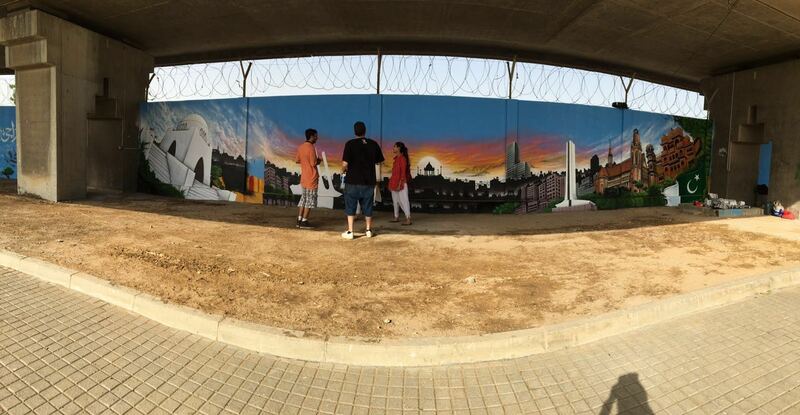 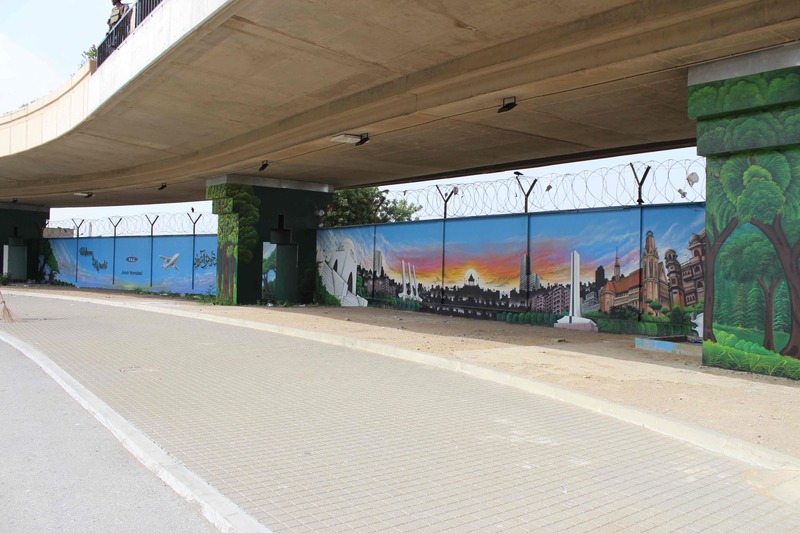 Schmidt’s mural was revealed to the public in an open day exhibition at the airport where he spray painted ‘Welcome to Karachi’ onto the walls.